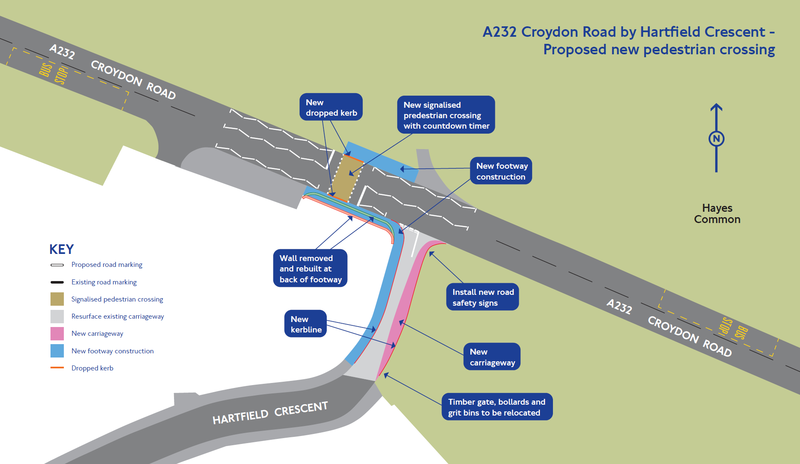 Another step has been taken in the long running effort to get a pededstrian crossing installed on the busy A232 Croydon Road, near the junction with Harttfield Crescent. Having received the blessing of the City of London (custodians of West Wickham Common) and Bromley Council, Transport for London (TfL) is formally consulting residents on the proposal. You can add your voice of support here. The consultation closes on Friday 28th August.